Our best selling adhesive/sealant for roofing tile / exterior applications. Preferred by most roofers. Its quick curing, strong, and the clear color blends with all roofing tiles. Generally used on concrete and clay tile roofs for setting cut pieces, sealing odd flashing areas and repairing broken tiles. DESCRIPTION: Non-staining, translucent-clear drying, UV resistant, paintable, very easy to gun, quick curing exterior grade structural adhesive & sealant. (Very superior product to Geocel 2300 and 3500). One-component elastomeric structural adhesive / sealant. Supports up to 25% total joint movement. Fast Drying -- tack free in 25-30 minutes at 70F (cure requires greater than 50F temperatures). Tack Free in 10-30 minutes. Paintable in 1-2 hours in normal weather. Very high resistance to UV, Ozone and moisture. Bonding automobile trim and molding (widely used in the automotive industry). Waterproof roofing and sidewall lap seams. Bonding & sealing joints constructed of pre-painted metals, glass, aluminum and plastics. Waterproof and seal rivet seams or metal cap screws. Sealing around roofing corner and end moldings. Window glazing sealant for glass, aluminum, wood, concrete, fiberglass and vinyl widow systems. 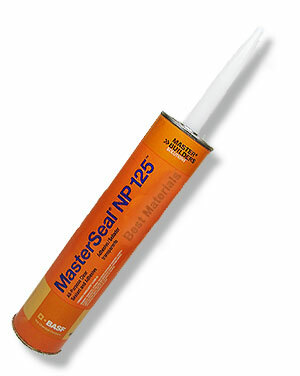 Sealant for vinyl and aluminum siding. Joints should be designed to be less than 1/2 x 1/2". Use backer rod where needed to maintain proper dimensions. Not suitable for TPO membrane roofing.